Tile Monthly is interested in publishing a variety of information concerning the tile and dimensional stone industries. Submissions of quality manuscripts will be accepted from anyone willing to submit them. We will consider articles by trade professionals, DIYers and consumers. Unusual and appealing do-it-yourself projects will be of special interest. 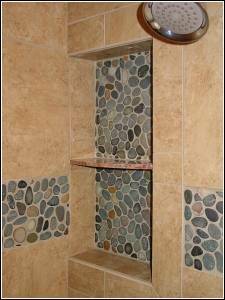 You don’t have to be a tile professional or a published writer. You will be held to good writing standards, however. Although we devote space to technical articles, Tile Monthly is a consumer oriented publication. If technical terms are used they must be fully explained in language that a general readership will understand. We want to convey information to readers without necessarily impressing them with our vast storehouse of knowledge as it were. Writing should inform without being burdensome. Wit and humor, while not necessary, are always welcome. We want to entertain as well as inform. Tile As Art – Mosaics, etc. Where do marble, travertine and other dimensional stone products come from? The above suggestions should not be considered limits. 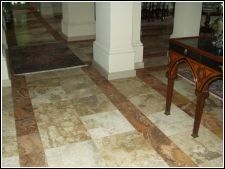 Generally, anything associated with tile and stone is acceptable and will be considered for publication. Coverage of related residential remodeling topics, to include the installation of all types of flooring, will also be considered. We encourage submissions from corporations, wherein proprietary names and terms may be used. If, however, a submission appears to be nothing more than an infomercial or advertisement, it will be edited to the point that it becomes readable and entertaining, or it will be rejected. Currently, Tile Monthly does not pay for articles it publishes. Articles should be submitted via email in M.S. Word or in Open Office. Double-spaced pages with wide margins are required. Pages must be numbered and should include the writer’s name, address, email address and daytime phone number. Please include professional or personal information that might be included in a “blurb” at the end of the article. You may mention the company you represent, if any, along with the city in which it is located. Web site and email addresses should be included. Photo files, tables, drawings and other attachments should not be embedded. They should be submitted as separate files along with appropriate captions. Insertion points should be noted in the manuscript. Submitted manuscripts become the property of Tile Monthly, and if published, Tile Monthly owns copyright for the version it publishes. The author retains copyright for the article in general. Articles must be the original work of the submitting author. We value intellectual property and hold copyright to the highest level. Do not submit plagiarized articles, projects, or book excerpts.